Economic growth forecasts for 2018 have been ratcheted higher as data exceeds expectations with the South African Reserve Bank (SARB) the latest central bank to raise its 2018 GDP growth projection. 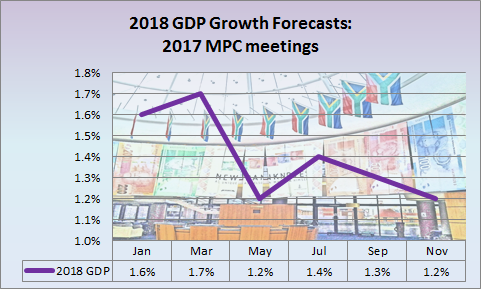 The SARB raised its GDP growth forecast for 2017 to 0.9% from 0.7%, for 2018 to 1.4% from 1.2% and for 2019 to 1.6% from 1.5%. The news that China’s GDP growth in 2017 was 6.9% as opposed to the government target of 6.5% and the January 2017 international Monetary Fund (IMF) projection of 6.5% is merely the latest in a sequence of economic data releases that has seen economists play catch-up with economic reality. China is also not the only BRICS member county to see economic data exceed expectations. Brazil has surprised by how robust its economy has performed despite the ongoing corruption allegations and the stalled political reform agenda. Russia has exceeded expectations both in terms of growth and low inflation, while India has started to recover from the high-denomination rupee withdrawal of November 2016. South Africa has recently seen accelerating growth after a slow first half. The IMF in January 2017 forecast that Brazil would only grow by 0.2% in 2017. Full year figures have not yet been published, but the Brazilian economy expanded by 1.4% y/y in the third quarter of 2017, following a 0.4% y/y gain in the second quarter and better than the consensus forecast of 1.3%. It is the fastest growth rate since the first quarter of 2014, boosted by a jump in household consumption spending and exports. The IMF in January 2017 forecast that Russia would only grow by 1.1% in 2017. Full year figures have not yet been published, but the Russian economy expanded by 1.8% y/y in the third quarter of 2017, following a 2.5% y/y gain in the second quarter and better than the consensus forecast of 1.6%. 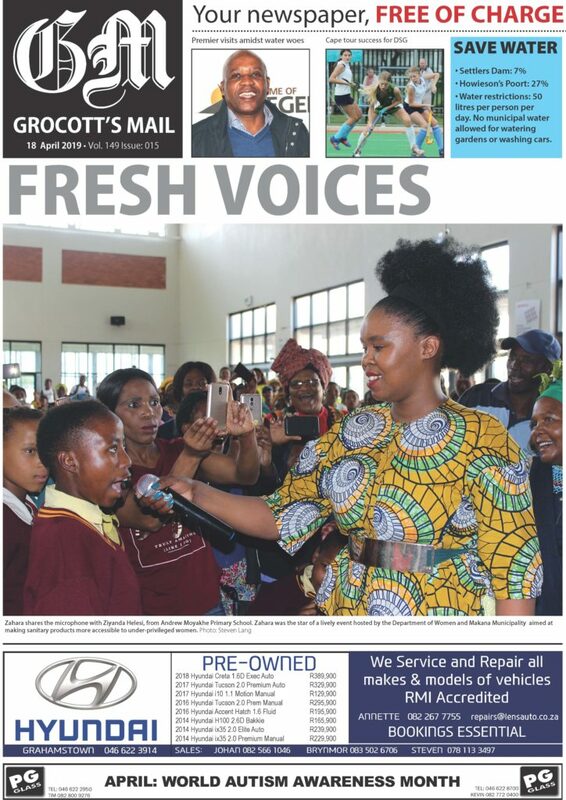 The economy was boosted by a jump in household consumption spending and exports on the expenditure side and by farming and manufacturing on the production side. Agriculture advanced by 3.8% y/y in the third quarter after a small 0.1% y/y rise in the second quarter. The export performance was particularly robust as the oil price recovered from the January 2016 lows. That meant Russia’s trade surplus widened by 28.4% y/y to US$ 11.52 billion in November , which was above market expectations of a US$ 11 billion surplus. In the first eleven months of 2017, the trade surplus widened sharply to US$101.63 billion from US$ 78.5 billion in the same period of 2016. The IMF in January 2017 forecast that India would grow by 7.2% in 2017, but full year growth in 2017 is unlikely to exceed 6.5% as the structural reforms have had a larger than expected impact. Full year figures have not yet been published, but the Indian economy expanded by 6.3% y/y in the third quarter of 2017, following a 5.7% y/y gain in the second quarter, which was the lowest growth rate in nearly three years. A rebound in investment and inventories offset a slowdown in both private and public spending. Fourth quarter growth should exceed expectations as the November 2016 disruption falls out of the comparison period. India’s industrial production surged by 8.4% y/y in November 2017 easily beating market expectations of 4.4%. It was the steepest increase in industrial production since June 2016, boosted by strong growth in manufacturing, which soared by 10.2% y/y. The IMF in January 2017 forecast that South Africa would grow by 0.8% in 2017. Full year figures have not yet been published, but the South Africa economy expanded by 1.3% y/y in the third quarter of 2017, following a 0.9% y/y gain in the second quarter. The third quarter growth was the fastest since the first quarter 2015 and was boosted by exports and household consumption expenditure. Fourth quarter growth is likely to exceed 2% y/y as South African bulk export volumes rose by 4.9% in 2017 to a new record of 171.3 million tons, while real retail sales surged by 8.2% y/y in November for the highest y/y growth rate since June 2012. The higher than expected growth in 2017 therefore sets up these BRICS economies for an even higher growth rate in 2018. 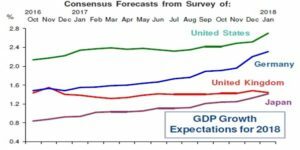 This is especially so as economists are having to do the same catch-up in their forecasts for developed economies as shown by the consensus forecasts from UK-based Consensus Economics (www.consensuseconomics.com). The US for instance has had its 2018 GDP growth forecast increased from 2.4% in August 2017 to 2.7%, while Germany has moved from 1.8% to 2.3% over the same period. France has been upgraded to 1.9% from 1.6%, while Japan’s GDP growth forecast has improved from 1.1% to 1.4%. Only the UK has remained stagnant at 1.4%. The stronger developed countries’ growth bodes well for South Africa growth prospects and further upgrades to 2018 GDP growth should be expected during the course of the year.